DHL Supply Chain has started work on a major new warehouse at Avonmouth which is expected to be completed in January 2018. 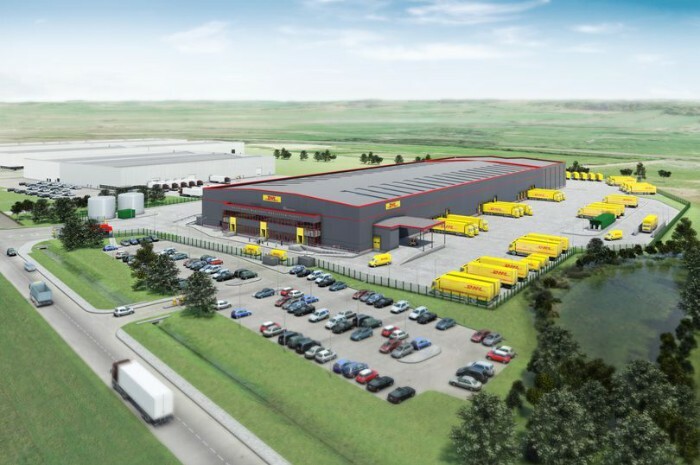 The new cross-dock logistics facility is an extension of DHL’s existing capabilities at Avonmouth and represents a total investment of €24.75 million. The new site will support delivery into Bristol and Bath city centres using the latest all electric vehicles and the collection and disposal of recyclable products and management of waste. Phil Roe, MD Transport, Engineering, Energy & Chemicals, DHL Supply Chain, said: “We are delighted to be starting work on our new site at Avonmouth. “This project represents a key step in our ability to provide better service to customers in South West England and Wales. “The new site means that customers no longer have to serve regional locations direct from a national distribution centre and can benefit from vehicle types optimised for final mile collection and distribution. The new site will bring increased capability for customers that require a clean retail/food grade environment and will consist of a 30,000 sq ft tri-temperature controlled cross-dock chamber and an ambient cross-dock chamber of approximately 110,000 sq ft.
Avonmouth’s Central Park, a 350 acre national logistics hub, bordering the M49 in Avonmouth, is home to the recently built giant distribution hub for The Range, as well as large scale warehousing for Lidl, Davies Turner, Farmfoods and CHEP UK. This article was originally published by Bristol Post.